I’ve been remiss in my blogging…there’s nothing like winter doldrums to dull the writing mind! However, although the mind was dull, the taste buds weren’t, so this past winter, I have been trying out some new foods, and I wanted to share. Firstly, winter weight gain is expected in my body fitness world. There’s something about cold and damp that makes me crave stew and starch and ice cream in front of the fire. But this winter, I’m almost positive I gained less weight than I usually do…and I attribute it to amaranth! Have you heard of this wonderful GLUTEN-FREE grain? Some might call it a pseudograin since it’s a cereal that is not technically a grass – other pseudograins include quinoa, buckwheat, chia seed. 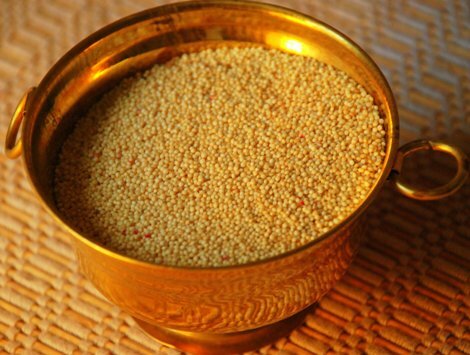 Amaranth tastes like what you cook it in – it’s not overpowering. It’s as simple to cook as rice – boil water (1.5 water to 1 grain ratio), cook on low heat for about 30 minutes, and you’re finished. I often flavor with a bouillon cube, or some nice herbs. And it works just like rice – you can cook vegetables with a sauce over the amaranth…curries work great. Amaranth, a staple of the Incans, is native to South America and parts of India/Asia. The “grain” is actually a seed and very high in protein (30% more than most grains) – so perfect for those who eat less meat. Also, it has a complete profile of amino acids like lysine. High in manganese, iron, copper, and magnesium as well as vitamin B and folate, amaranth is high in dietary fiber but has a low glycemic load, so is good for diabetics, but check with your physician because it depends on what else you eat. So happy cooking! Please try it- and let me know what you think. It’s easy to buy at any health food store or online, and it quite inexpensive at about $3 a pound. Amaranth – the next supergrain!